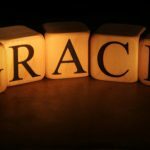 We recently wrote of the alleged clash between grace and works. Our conclusion was that a man cannot be saved apart from God’s grace. We also affirmed that there is a response, an obligation on the part of man which is also essential. Today, I want to pursue that idea a bit further. It is common among some to assert that man has no role in his own salvation. They claim that there is absolutely nothing required of a man in order to be saved. That is a popular view and a view that holds some comfort in that we can live any way we desire without consequence. Our eternal salvation is fatalistic occurrence far beyond self. What does the Bible say? God’s word commands obedience. As the Israelites gathered at Sinai, God commanded them, saying, “if you will indeed obey my voice and keep my covenant, you shall be my treasured possession among all peoples…” (Exodus 19:5). Again, “And if you will indeed obey my commandments that I command you today, to love the Lord your God, and to serve him with all your heart and with all your soul, he will give the rain for your land in its season, the early rain and the later rain, that you may gather in your grain and your wine and your oil” (Deuteronomy 11:13, 14). Peter declares that the salvation gift of the Holy Spirit is given to those that “obey him” (Acts 5:32). The writer of Hebrews speaks of the glorious Christ, who, “being made perfect, he became the source of eternal salvation to all who obey him (Hebrews 5:9). John says obedience is confirmation of our love for the Lord and our place in his family. “By this we know that we love the children of God, when we love God and obey his commandments. For this is the love of God, that we keep his commandments. And his commandments are not burdensome” (1 John 5:2,3). Even more prevalent in Scripture is the condemnation of the disobedient. Instead of asking if obedience is required for salvation we should ask if a man can be saved in his disobedience. Again, it is the Bible that gives the answer. Israel was warned of its own demise if they did not obey. Moses warned, “Like the nations that the Lord makes to perish before you, so shall you perish, because you would not obey the voice of the Lord your God” (Deuteronomy 8:20). He repeats, “See, I am setting before you today a blessing and a curse; the blessing, if you obey the commandments of the Lord your God, which I command you today, and the curse, if you do not obey the commandments of the Lord your God, but turn aside from the way that I am commanding you today, to go after other gods that you have not known” (Deuteronomy 11:26-28). There is no question that God’s people were required to obey God and were warned of punishment if they did not. Perhaps the clearest warning against disobedience is from Paul. He writes that Jesus will return and will inflict “vengeance on those who do not know God and on those who do not obey the gospel of our Lord Jesus” (2 Thessalonians 1:8). Peters wonders of the end result of those who “do not obey the gospel of God” (1 Peter 4:17). The Bible student must see that obedience is required and disobedience is condemned. It is only because of God’s stunning love for a lost creation that we have a plan of escape from coming doom. It is only because of his extreme love that we have a savior. It is no blow to his glory that we comply with his commands. Instead, our obedience reflects his goodness and his glory throughout creation! Next post: Who Are You Listening To?